In the last months, several families with children came to Moldova in search for asylum and assistance. 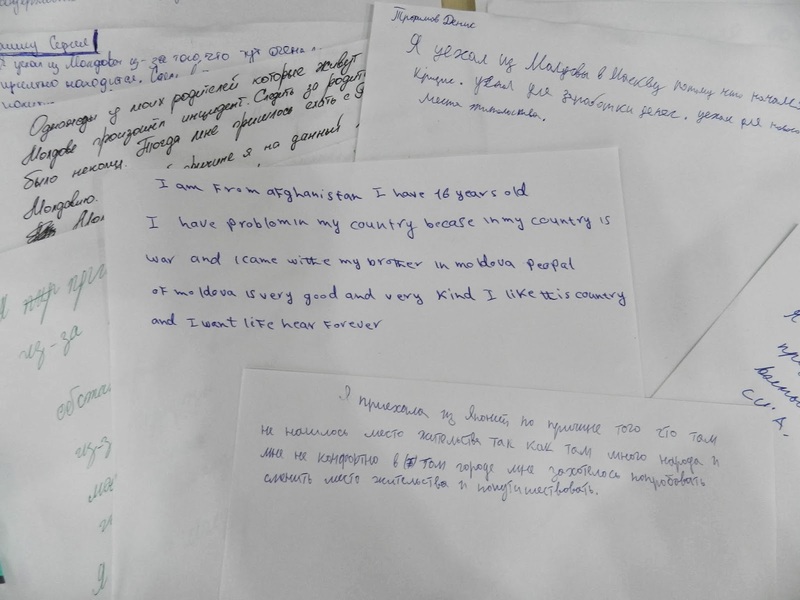 When the school year started, the asylum seeking children were quickly enlisted in the nearest school to the Temporary Accommodation Centre for Asylum Seekers (TAC), which is the Galata gymnasium. 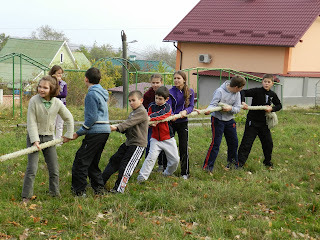 Considering that this year more than 15 children of our persons of concern are studying there, including some refugee kids, the Charity Centre for Refugees (CCR) decided to renew its collaboration with the gymnasium in order to support our beneficiaries’ integration in the school activities and to raise awareness about the needs and diversity of the refugees and asylum seekers in Moldova. As a result of this renewed collaboration, CCR offered its support within two events organized by the gymnasium for its pupils: a sport event organized on the occasion of the Health Day and a multicultural awareness event as part of the Anti-discrimination day. The Health Day was a very important event for the school and its pupils which all gathered in teams in order to participate in the sport competition organized by the school on this occasion. The Head of UNHCR Office in Moldova, Mr. Octavian Mohorea, and the CCR director, Mr. Djavid Paknehad, participated in the official opening ceremony of the competition and spoke to the pupils about the refugee situation at this moment and why do they need to show their support to their fellow classmates who have fled their countries and who face many difficulties, especially with the language. In order to foment tolerance among the pupils and the school staff, CCR procured some sport equipment, including a ping pong table, a rope and various types of balls, which were handed by the CCR director, together with the UNHCR representative, to the school for their use in different sport activities, including in the mentioned competition. Over 300 pupils participated in the Health day event and enjoyed the procured sport equipment, while some of them received special awards for excellent results achieved in the competition. The Anti-discrimination day was also a very special day for the gymnasium who organized some interesting awareness games for pupils of different ages, with whom our beneficiary children study. 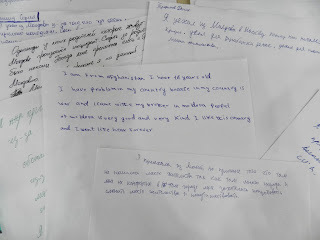 Some games were specifically targeted to the refugee topic and revealed that some Moldovan pupils are somehow familiar with the reasons behind a refugee’s decision to run away from his home country. 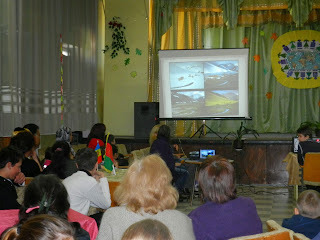 The Anti-discrimination day was concluded with a final concert. Its main aim was to emphasize the cultural diversity of the school’s pupils, which is why the concert was opened with greetings in 8 different languages of pupils of various ethnicities. In order to raise awareness about the cultural background of the asylum seeking children, the CCR prepared two presentations and video spots about Afghanistan and Uzbekistan, showing some interesting facts about these countries, photos of their traditional customs and not only. The Uzbek dances and songs enriched the concert and engaged the teachers and children in a common joyful dance, which can be considered the high point of the whole day. CCR is extremely delighted with the results of these events and the openness of the school administration in supporting the asylum seeking children, who indeed require a special approach. 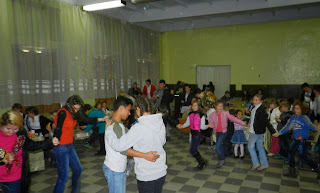 We hope that these kinds of events will become a tradition, as the constant flow of asylum seekers into Moldova, their accommodation in the TAC and the asylum seeking children’s enrollment at the Galata gymnasium will not be seen as a threat to the stability of the school and the society as a whole, but as a joyous enlargement of the pupils’ group in quantity and quality.